Common forms of male contraception are either short-term (condoms) or long-term (vasectomy). However, condoms can fail, and vasectomies, while effective, are not often reversible. Xiaolei Wang and colleagues wanted to devise a medium-term, reversible form of male contraception. They drew inspiration from cocktails, such as the Galaxy, that bartenders make by layering colorful liquids in a glass. 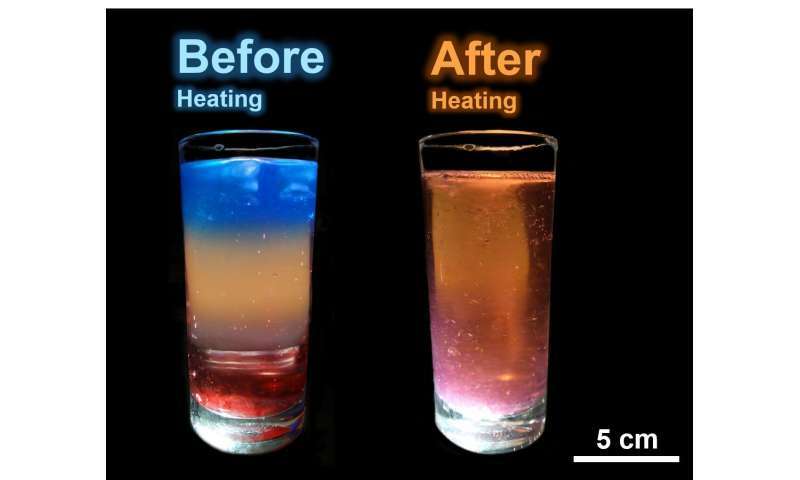 If the beverage is stirred or heated, the layers combine into a uniform liquid. Wang and colleagues wondered if they could use a similar approach to inject layers of materials to block the vas deferens, the duct that conveys sperm from the testicle to the urethra. Applying heat would cause the layers to mix, breaking them down and "unplugging the pipeline." The team tested their approach in male rats. They sequentially injected four layers of materials into the vas deferens: a hydrogel that forms a physical barrier to sperm; gold nanoparticles, which heat up when irradiated with near-infrared light; ethylenediaminetetraacetic acid (EDTA), a chemical that breaks down the hydrogel and also kills sperm; and finally, another layer of gold nanoparticles. The injected materials kept the rats from impregnating females for more than 2 months. However, when the researchers shone a near-infrared lamp on the rats for a few minutes, the layers mixed and dissolved, allowing the animals to produce offspring. The researchers say that while this pilot experiment is promising, more research is needed to verify the safety of the materials. contraception isn't a burden, WTF is wrong with you people?